James had never seen the Irish Rugby team play at home so Friday morning saw us on an early train to Holyhead under blue skies and sunshine. I was trying to remember whether I had ever been west of Chester by train as we are usually driving to Anglesey to visit friends or to take the ferry to Ireland. The railway soon meets the coast and the tide was out on the Dee Estuary so lots of birds were feeding on the sand but we sped fast too quickly to identify many. 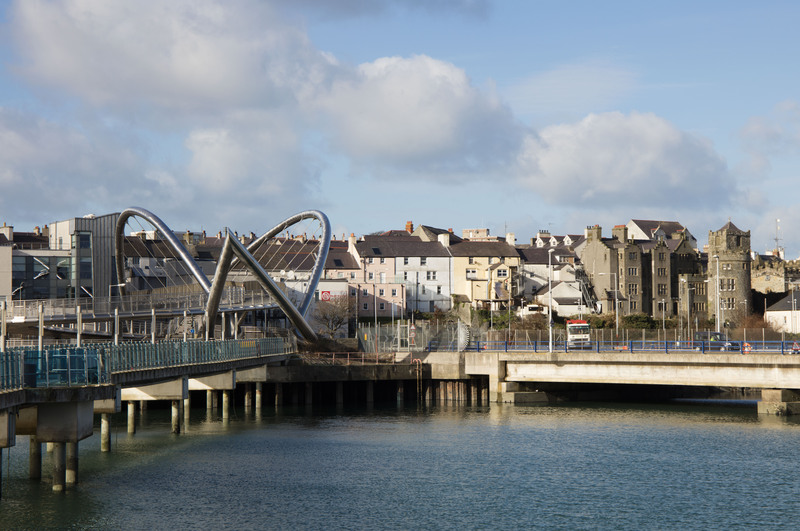 At Holyhead there is a seamless transition from the train to the ferry terminal which is at the end of the platforms. It is also a short walk over a modern bridge to to the town centre. I had hoped that as we were sailing west and sunset was around an hour before we were due to arrive in Dublin, that I might get some sunset shots but the advancing weather front brought dense cloud which put paid to that idea. Taxis were in short supply at the port despite two ferries arriving within a short time but one arrived eventually and we were soon ensconced in our quayside hotel. That evening we met some friends from Dublin whom we had not seen for several years and returned to the Winding Stair Restaurant. I have still not managed to be there when the bookshop on the ground floor is open. On Saturday morning we walked along the quayside and crossed the river to Trinity College. 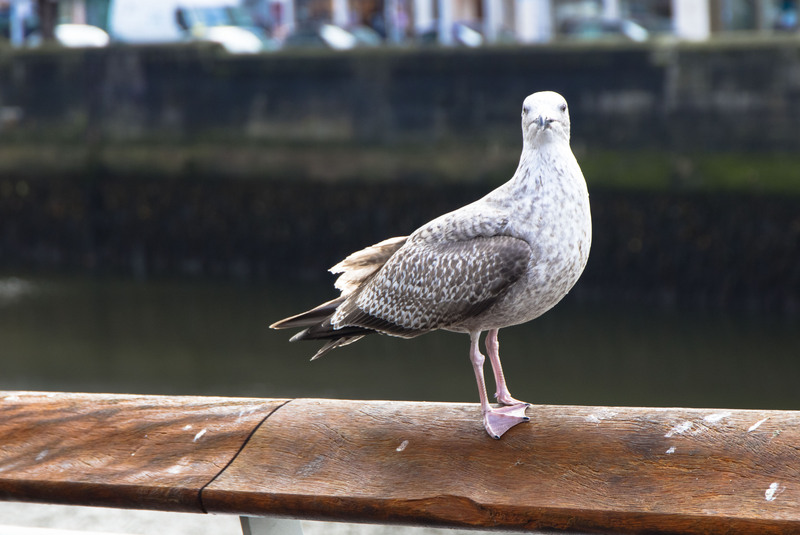 Several hungry gulls were looking hopefully at passers-by. 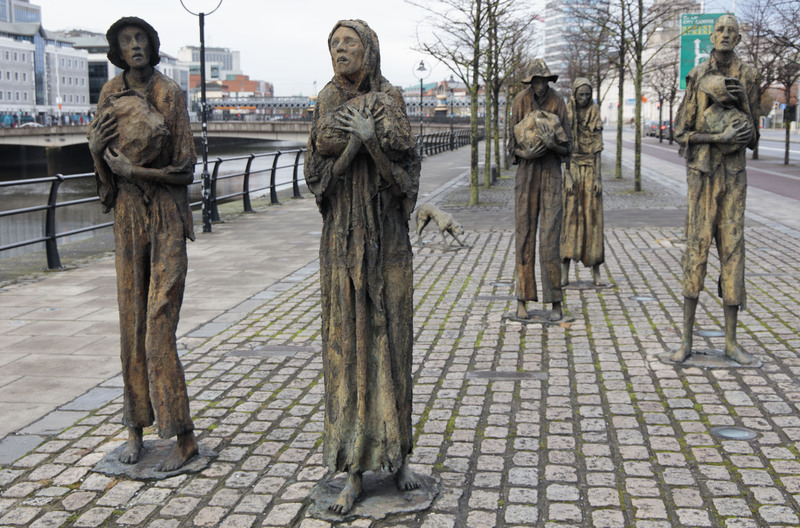 Rowan Gillespie’s 1997 sculpture ‘Famine’ also stands by the river. Our destination that morning was the Book of Kells exhibition which was over-booked on our last visit. Near the college we passed a pub which had been open since 7am. I later learnt that this was originally to serve the market traders. There was no market that day but several people inside. 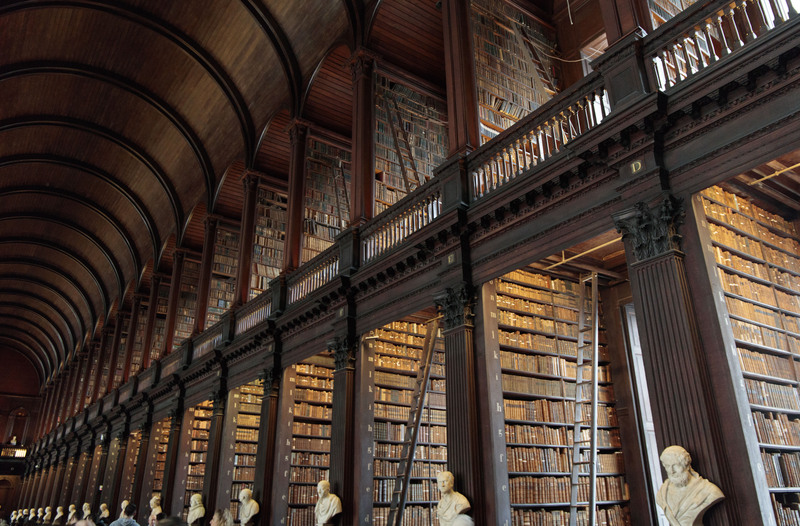 There is an explanatory exhibition about the Books of Kells, Armagh and Durrow, the old manuscripts on display and then you can visit the old college library. 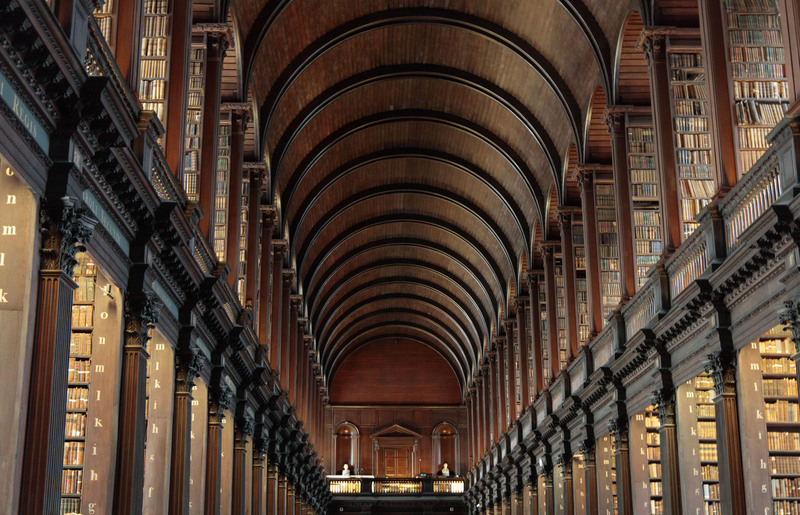 It is a fabulous building, housing around 20,000 of the library’s oldest books and lined with marble busts. On our visit there was also a display of ephemera relating to Oscar Wilde. There is Ireland’s oldest harp which dates from the 15th century and a copy of the 1916 proclamation of the Irish Republic. The rest of Saturday was spent meeting up with friends and enjoying the rugby match which Ireland won. We had planned to spend Sunday morning visiting a few more places in the city in a leisurely fashion before catching an afternoon boat back to Holyhead. However, a text received during dinner changed our plans as the afternoon ‘swift boat’ was cancelled due to bad weather and we had to take the early morning one. Some time ago, catamarans were introduced on several of the Irish Sea routes to reduce the time of the crossings. However, their movement meant that they were rapidly dubbed ‘the vomit comet’ and were also said to create waves big enough to wash fishermen off the walls of Dun Laoghaire which was the port ferries from the UK previously came into. As we boarded the ferry, the police were escorting an Asian man onto the boat. However we later saw him wandering around unescorted and he disembarked with the rest of us. I hope that they had not had to protect him from harassment. I read today that hate crime rates have now overtaken sectarian crime rates in Northern Ireland but I do not know if this is the case in the Republic. In addition to cancelled boats we also had cancelled trains. The person in the rail ticket office in Holyhead did not seem to know which were running and which were not. The first train was a relatively new, warm Arriva train which only took us as far as Llandudno Junction but with views of the mountains in Snowdonia with a dusting of snow. After that we were squashed onto a bus to Chester and then a very full Virgin train home, determined to make our next visit somewhat longer. 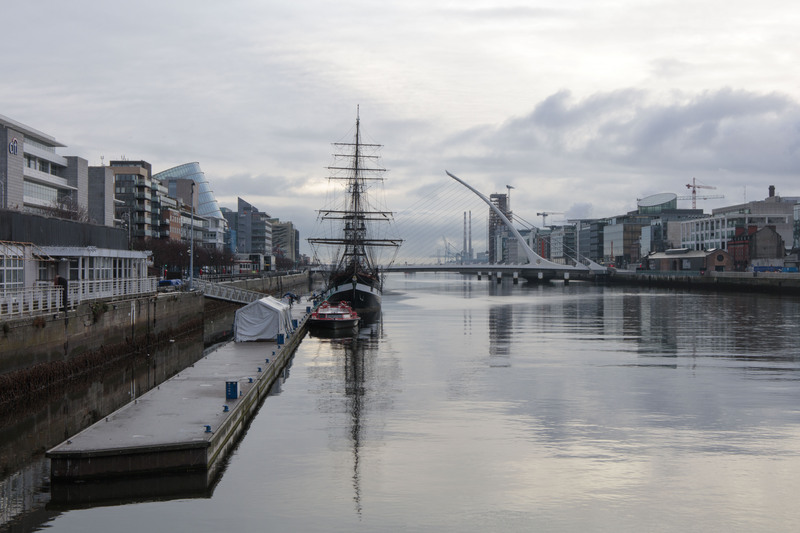 As a frequent visitor to Dublin, I enjoyed reading your post, Carol. I was over there at the weekend too. My husband, son and I had managed to get tickets to see Dara O’Briain at Vicar Street and he was excellent. Thanks for mentioning the Winding Stair restaurant. I’d love to give that a try sometime as I often spend ages in the little bookshop downstairs.